Today I thought I would show you my first ever scrapbook page. Earlier this year Christine Emberson ran a class introducing scrapbooking to new comers. 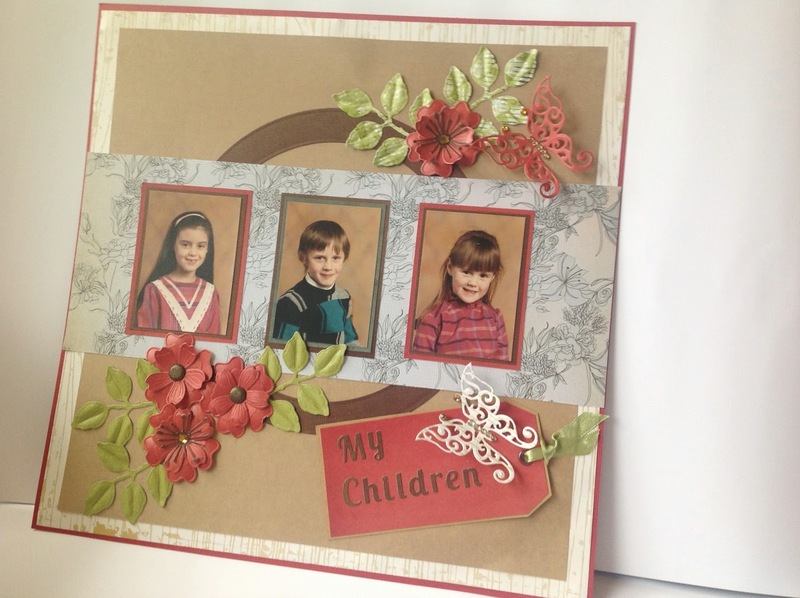 I enjoy my papercraft, making cards, boxes etc but I had never tried scrapbooking. So, as I have tons of photos, I thought I would try scrapbooking. Christine was so good explaining how to pick out colours from your pictures, to decorate your page. Also how to draw the line to the picture/s you want the viewer to see or notice. I picked some pictures of my three children, which they had taken at school 25 + years ago. 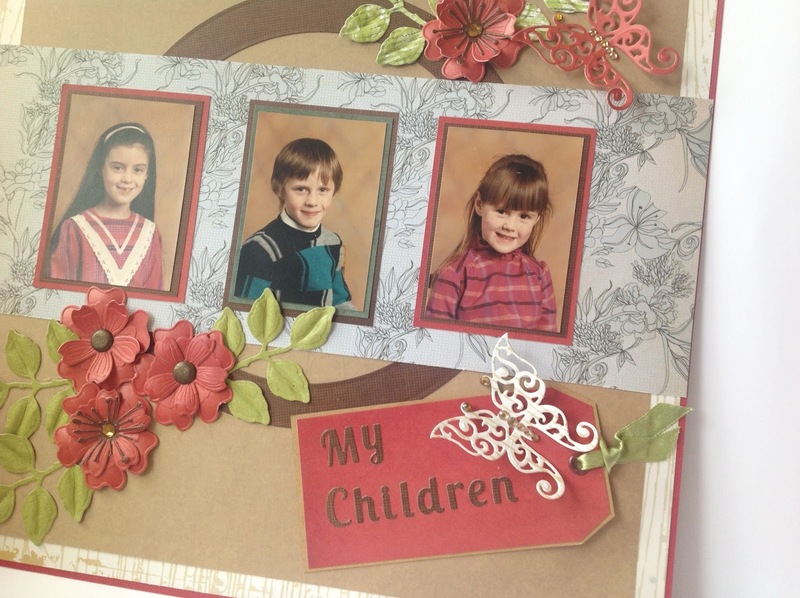 I used a variety of Spellbinder dies, for the flowers, leaves and butterflies. I was very pleased with my first attempt, I really enjoyed making this and so, I have decided that I must make some more. Gorgeous scrapbook page Sally, an amazing first attempt too! Another craft to add to your list!